R1 DL scale platforms have been specifically designed for intensive use. They are equipped with a single point load cell which ensures optimum accuracy and makes them extremely reliable. 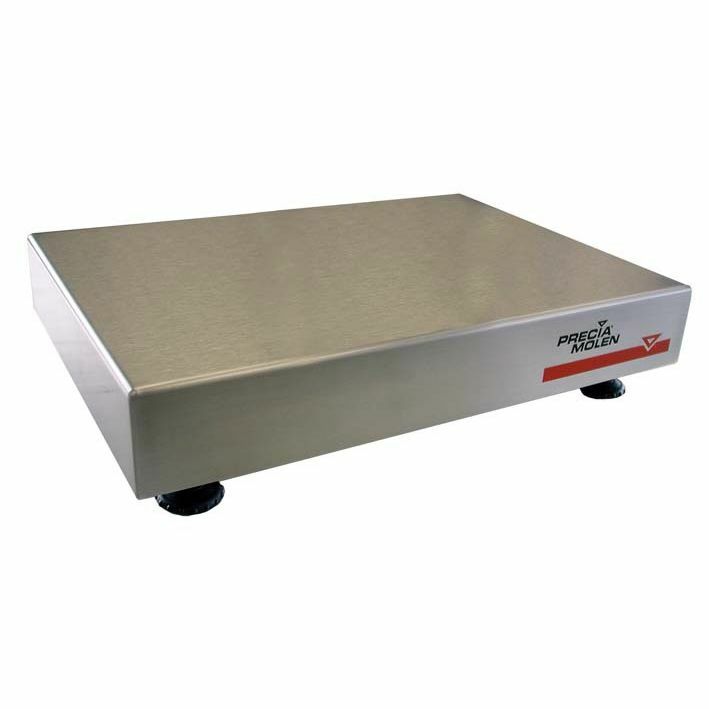 Compact in design, these scales are ideal for all table-top weighing operations. Two versions of the R1 DL scale platforms are available. The R1 DL has a frame which is constructed from hot zinc dipped, dichromat mild steel with epoxy coating and IP54 protection rating. The over size platform is made from type 304 L stainless steel. The R1 DL-S is constructed from type 304 L stainless steel with a stainless steel load cell and manufactured to IP67 protection rating. As stipulated by the chemical, food and pharmaceutical industries, the model meets all requirements with respect to hygiene and cleaning. R1 DL scale platforms can be combined with various PRECIA-MOLEN weight indicators for trade (3,000 e) or internal (non-trade) applications.